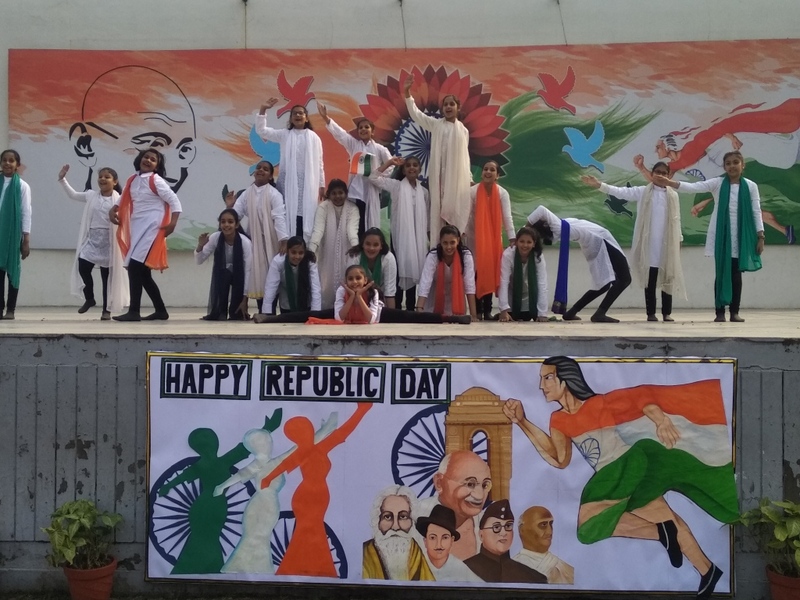 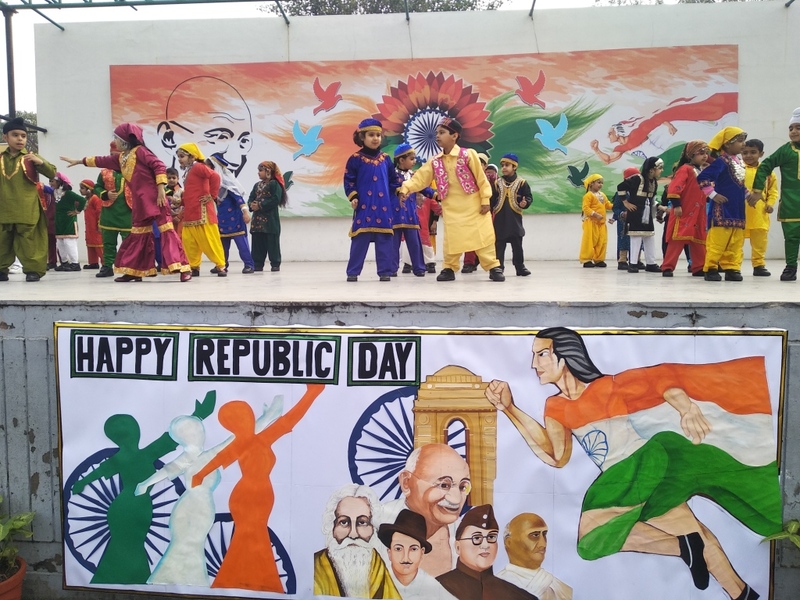 On the eve of 70th Republic Day 2019, the Cecilian students and staff upheld their vision for the country and the world. 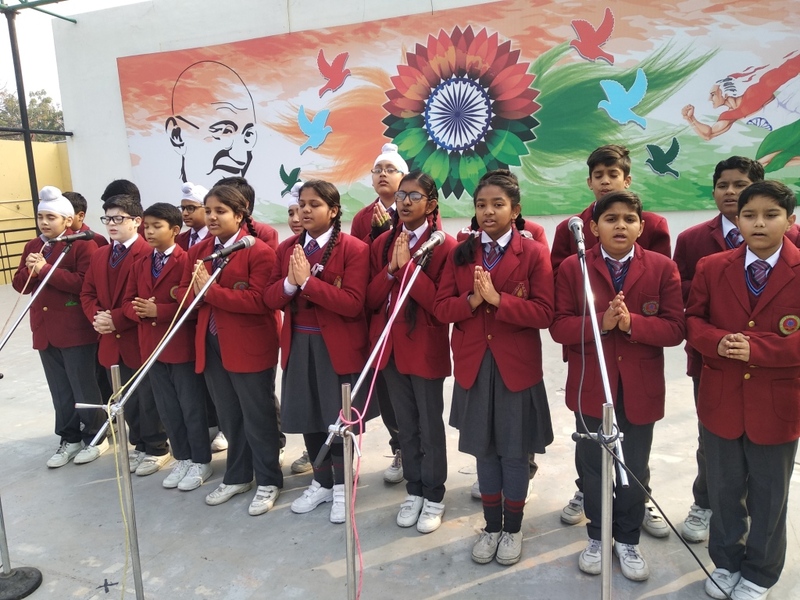 Cecilian campus witnessed young patriotic hearts celebrating the Republic Day celebrations in school campus with new hopes and aspirations for their motherland. 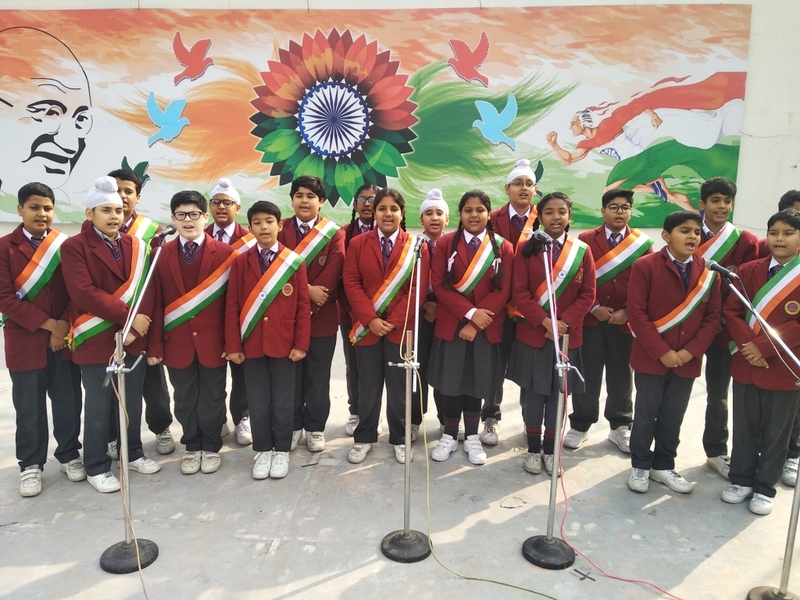 The students marched past with pride to salute honourable Madam Principal Mrs. Inderpreet Kaur as she unfurled the tri-coloured national flag. 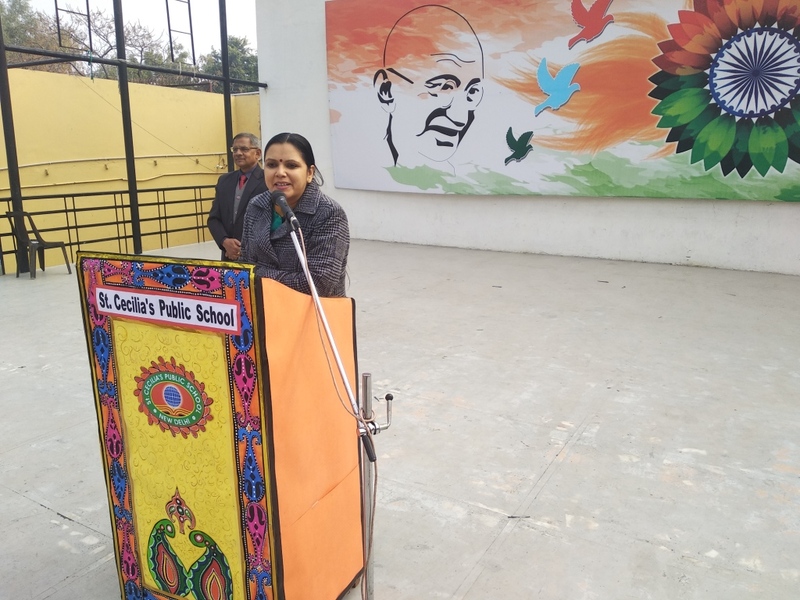 Madam Principal in her address emphasized on the need of quality education, heart without fear, peace and harmony, health, tolerant and equal world for the future generations. 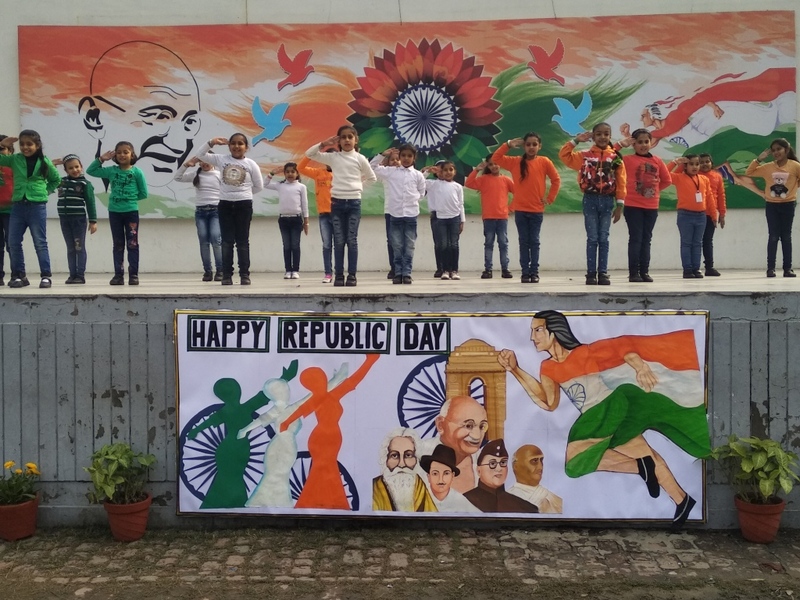 The cultural extravaganza showcased patriotic presentation by class I tiny tots, Yoga featured musical ballad brought nationalistic fervour and fitness together, French music choir democratically raised the bar as they sang patriotic songs for the motherland in French. 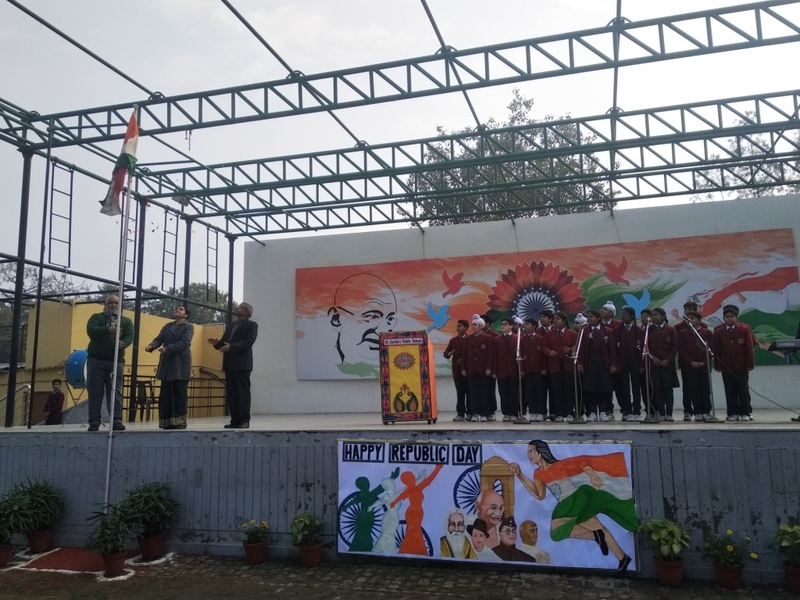 Teacher speakers enlightened the students on the importance and glory of Republic Day. 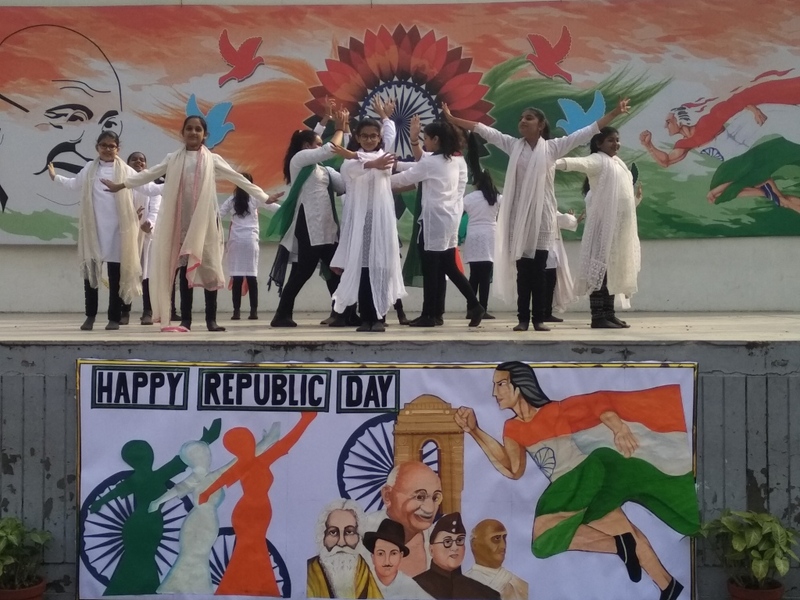 The students exhibited gushing gusto as they realized the rich cultural heritage and worthy history of our motherland. 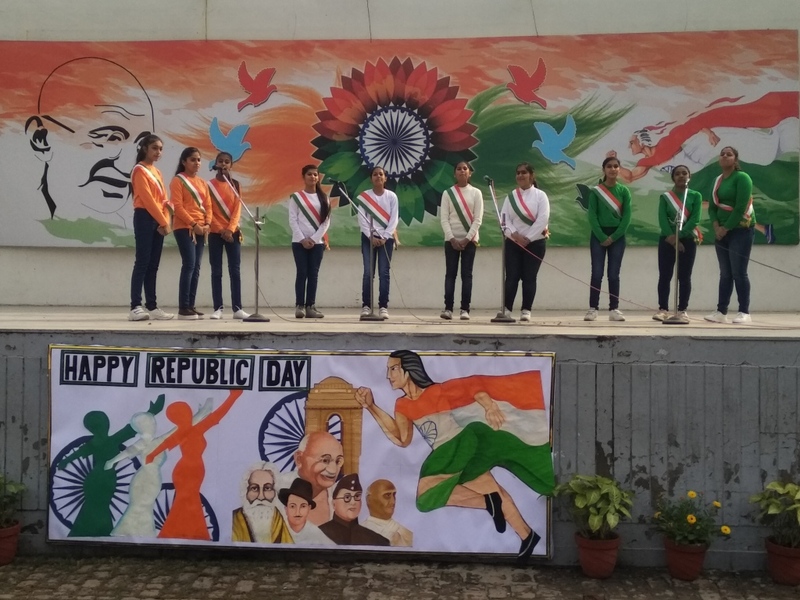 The campus resonated with national anthem as the celebrations came to a formal close.